The Gagosian Gallery in Los Angeles presents “People and Other Singularities,” an exhibition of the photographs of Diane Arbus between the years of 1956 to 1971. 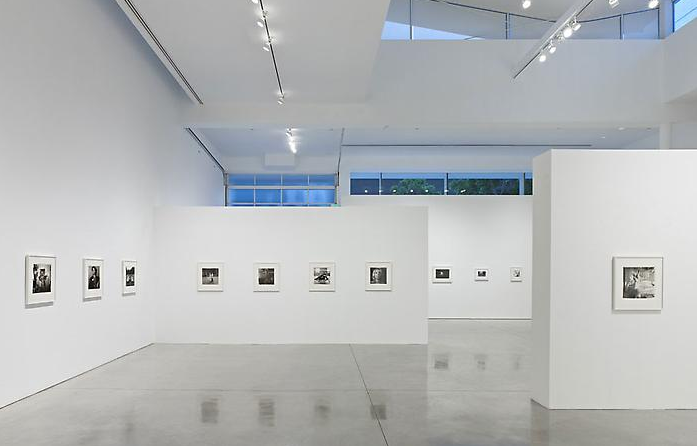 The gallery showcases the most extensive collection of Arbus photographs within Los Angeles since “Diane Arbus: Revelations” at the Los Angeles County Museum of Art in 2004. “People and Other Singularities” contains several photographs that have never before been exhibited publicly, along with some older favorites that have become part of photography’s canon. All ten images from the seminal Arbus collection, A Box of Ten Photographs (1970) are in “People and Other Singularities,” as well as other well-known images such as A Jewish giant at home with his parents in the Bronx, N.Y., 1970, and Identical twins. 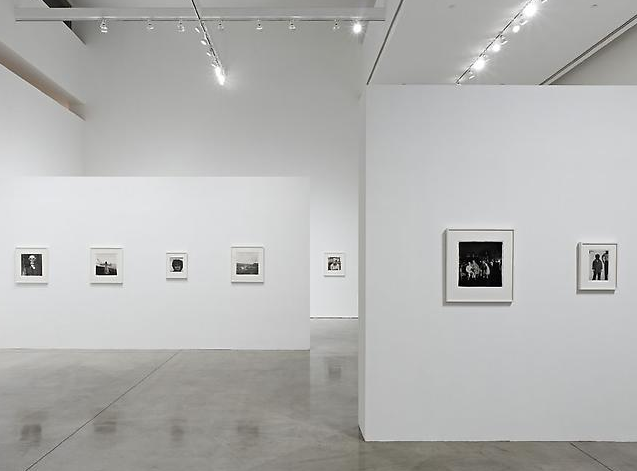 The main gallery displays the more classic work, while another is dedicated to the Untitled photographs that Arbus made at institutions for the developmentally disabled between 1969 and 1971, in the last years of her life. 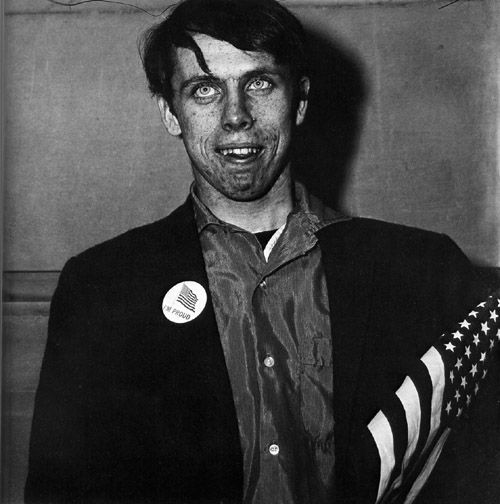 “People and Other Singularities” showcases what Arbus does best- finding honesty and identity through the lives of outsiders and oddities. Arbus’ defiant social portraiture are fearless and voyeuristic, giving the viewer a peek into the word of the other, a perspective off kilter from the time’s hard-won status quo. Mainstream postwar America was a time of restraint and superficial normalcy; these specific photographs illustrate a digging into these preconceived ideas of normalcy and breaking them up into idiosyncratic and often jarring viewpoints of humanity. 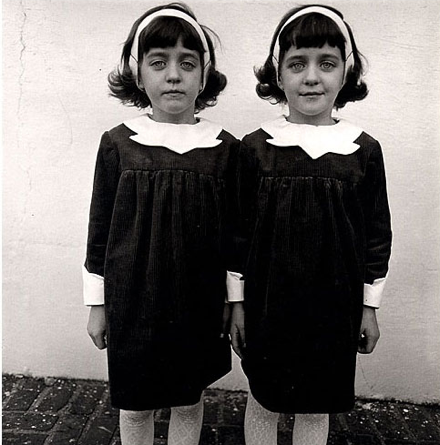 Though Arbus was a New York native, her images transcend place. 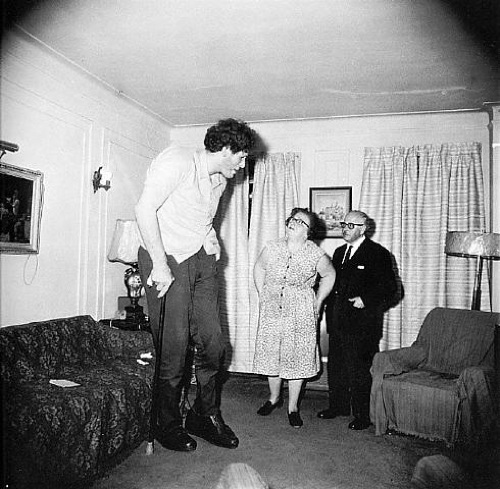 Arbus’ zealous exploration and chipping away at predominant sociological and social views of the United States dominates her work. The photographs point to the dealing with of human strangeness, importance of public and private ritual, and the American dream. 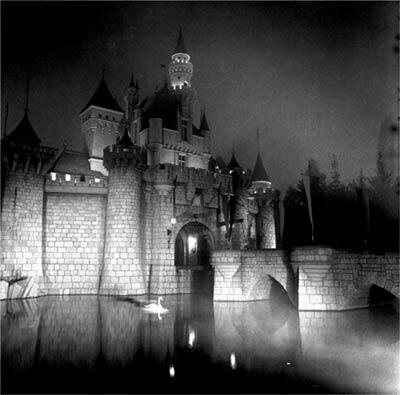 This entry was posted on Tuesday, April 26th, 2011 at 12:20 am	and is filed under Art News, Galleries, Go See. You can follow any responses to this entry through the RSS 2.0 feed. You can leave a response, or trackback from your own site. Please note, that “A Jewish giant…” and “Identical Twins” were part of the box of 10, so your statement needs to be corrected. That said, pleased to hear you like the show.